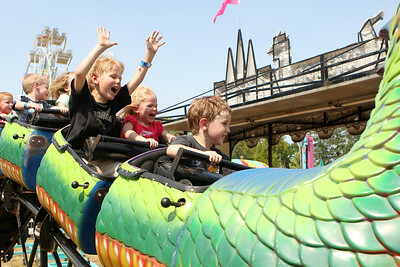 Mike Greene - mgreene@shawmedia.com James Martin (front), 3 of Crystal Lake, his brother Josh Martin, 6, and cousin Tessa Dvorsky, 2 of Cedar Rapids ride the Dragon Wagon during the 33rd annual Lakeside Festival Saturday, June 30, 2012 at the Lakeside Legacy Arts Park in Crystal Lake. 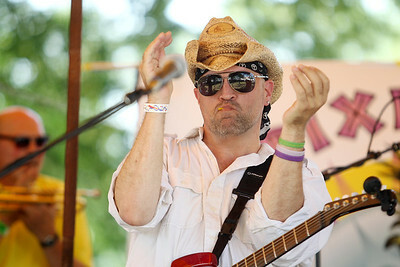 Mike Greene - mgreene@shawmedia.com Meg Thomas and Tropixplosion perform during the 33rd annual Lakeside Festival Saturday, June 30, 2012 at the Lakeside Legacy Arts Park in Crystal Lake. 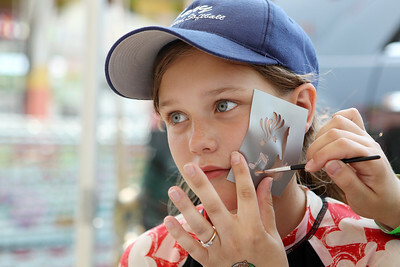 Mike Greene - mgreene@shawmedia.com Rebecca Elston, 11 of Cary, receives a free face painting compliments of Safari Childcare during the 33rd annual Lakeside Festival Saturday, June 30, 2012 at the Lakeside Legacy Arts Park in Crystal Lake. 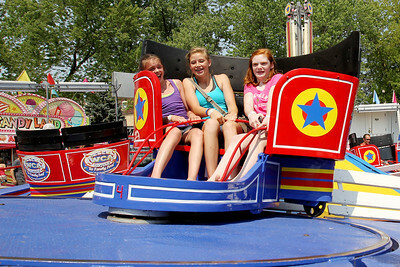 Mike Greene - mgreene@shawmedia.com Erica Thompson (left), 13 of Algonquin, Reilly Gnewuch, 14 of Cary, and Lexie Schyvinck, 13 of Johnsburg, ride the Tilt-A-Whirl during the 33rd annual Lakeside Festival Saturday, June 30, 2012 at the Lakeside Legacy Arts Park in Crystal Lake. 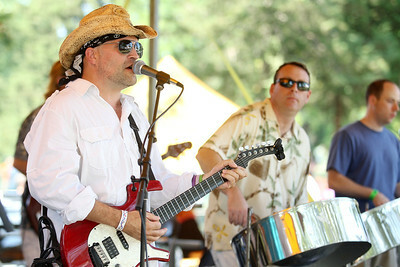 Mike Greene - mgreene@shawmedia.com Tru Blu plays during the 33rd annual Lakeside Festival Saturday, June 30, 2012 at the Lakeside Legacy Arts Park in Crystal Lake. 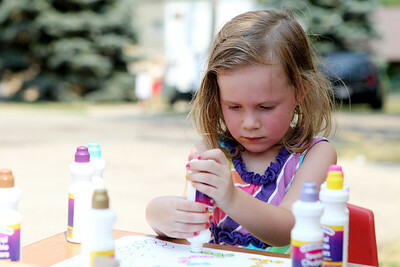 Mike Greene - mgreene@shawmedia.com Lily Rancak, 4 of Crystal Lake, colors at a tent hosted by Safari Childcare during the 33rd annual Lakeside Festival Saturday, June 30, 2012 at the Lakeside Legacy Arts Park in Crystal Lake. 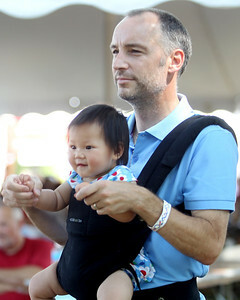 Mike Greene - mgreene@shawmedia.com Peter Worrall, of McHenry, dances with his daughter Amelia while listening to 4 Strings Attached perform during the 33rd annual Lakeside Festival Saturday, June 30, 2012 at the Lakeside Legacy Arts Park in Crystal Lake. 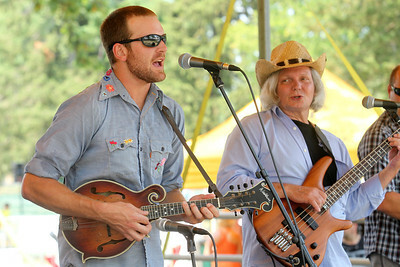 Mike Greene - mgreene@shawmedia.com Paul Willaert and Tropixplosion perform during the 33rd annual Lakeside Festival Saturday, June 30, 2012 at the Lakeside Legacy Arts Park in Crystal Lake. 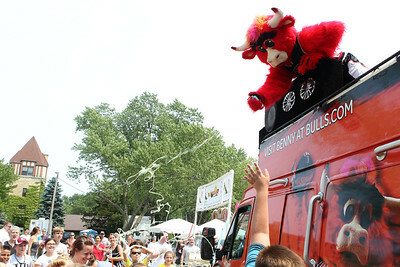 Mike Greene - mgreene@shawmedia.com Benny the Bull sprays silly string on the crowd surrounding his bus during the 33rd annual Lakeside Festival Saturday, June 30, 2012 at the Lakeside Legacy Arts Park in Crystal Lake. 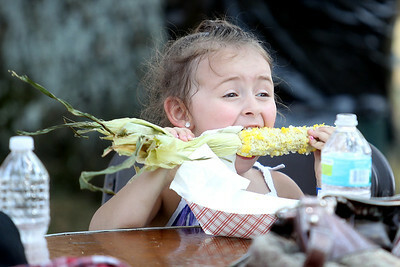 Mike Greene - mgreene@shawmedia.com Sofia Del Rio, 3 of Lake in the Hills, enjoys a corn on the cob during the 33rd annual Lakeside Festival Saturday, June 30, 2012 at the Lakeside Legacy Arts Park in Crystal Lake. Mike Greene - mgreene@shawmedia.com Elizabeth Quinn, of Crystal Lake, competes in the Baggo Tournament during the 33rd annual Lakeside Festival Saturday, June 30, 2012 at the Lakeside Legacy Arts Park in Crystal Lake. 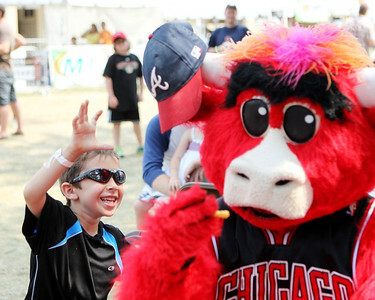 Mike Greene - mgreene@shawmedia.com Andrew Dovidio, 6 of Woodstock, tries to get his hat back after it was stolen by Benny the Bull during the 33rd annual Lakeside Festival Saturday, June 30, 2012 at the Lakeside Legacy Arts Park in Crystal Lake. 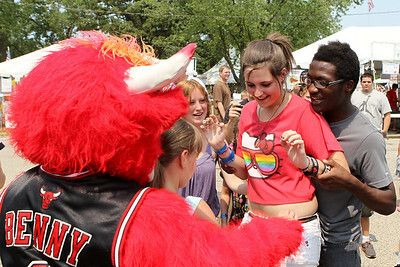 Mike Greene - mgreene@shawmedia.com Jordan Steiner (right) tries to coax his friend Keeley Peterson, both 15 of Crystal Lake, into giving Benny the Bull a hug during the 33rd annual Lakeside Festival Saturday, June 30, 2012 at the Lakeside Legacy Arts Park in Crystal Lake. Mike Greene - mgreene@shawmedia.com Olivia Wigman, 17 of McHenry, performs with 4 Strings Attached during the 33rd annual Lakeside Festival Saturday, June 30, 2012 at the Lakeside Legacy Arts Park in Crystal Lake. 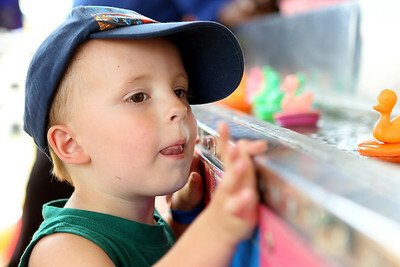 Mike Greene - mgreene@shawmedia.com James Pollard, 3 of Cary, watches ducks go by at the Duck Pond game during the 33rd annual Lakeside Festival Saturday, June 30, 2012 at the Lakeside Legacy Arts Park in Crystal Lake. 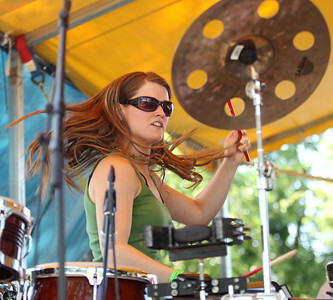 Lily Rancak, 4 of Crystal Lake, colors at a tent hosted by Safari Childcare during the 33rd annual Lakeside Festival Saturday, June 30, 2012 at the Lakeside Legacy Arts Park in Crystal Lake.